What did we learn at a Writers’ Conference? 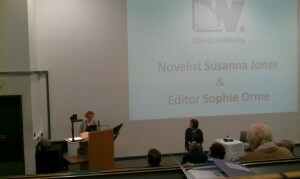 Joanna and Ron from lazuliportalswriting.wordpress.com attended the New Writers’ Conference at Plymouth University this month. The latest information they picked up from the sessions with publishers, agents and authors is valuable to every writer with a manuscript to publish. Thanks for sharing this experience, Joanna and Ron. 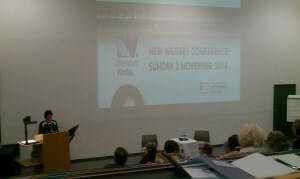 Ron and I attended the inaugural New Writers’ Conference held byLiterature Works, the literature development charity for South West England. It took place on Sunday 2 November, at Plymouth University. The Conference was designed to assist writers who have the manuscript of their novel “ready to go” (or nearly so!) Professionals working in the industry gave advice and information on finding an agent, working with editors, getting a publishing deal, and marketing the book after publication. Please follow this link if you’re interested in seeing the full programme of events. 3 Responses to What did we learn at a Writers’ Conference? I found it very useful, too, John. I’m glad you got something out of Joanna and Ron’s experience.